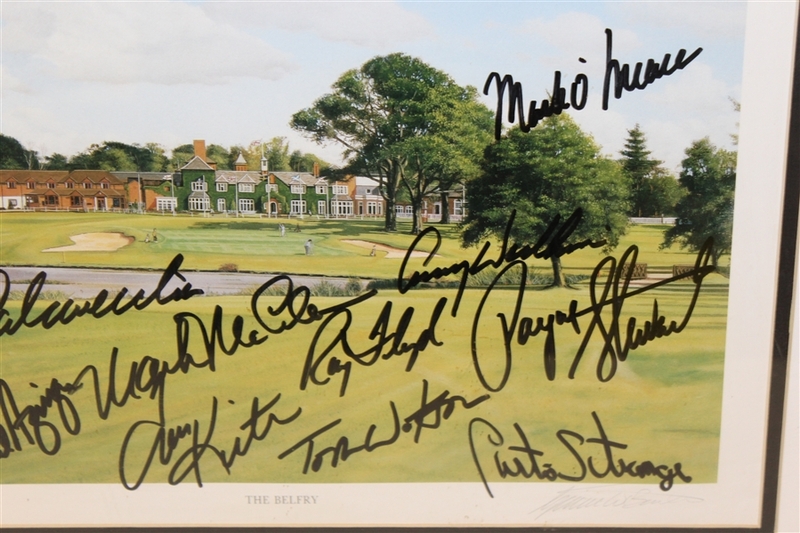 The Belfry is a golf resort and hotel in Wishaw, Warwickshire. 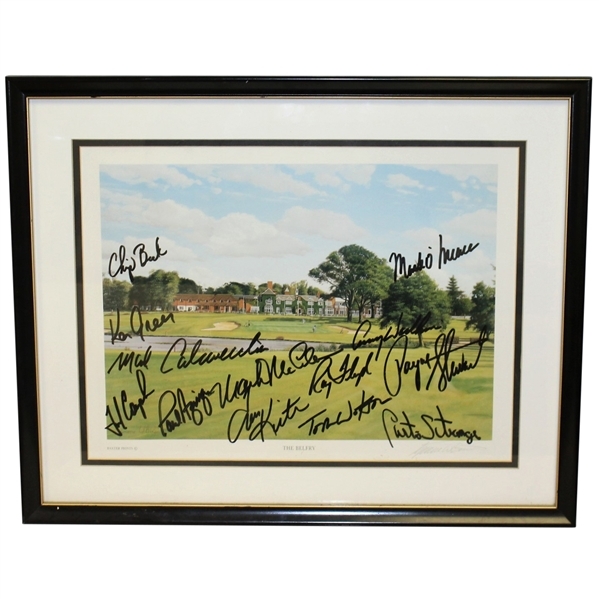 It has been home to many European Tour events and has hosted the Ryder Cup in 1985 (Europe wins), 1989 (tie), 1993 (USA wins), and 2002 (Europe wins). 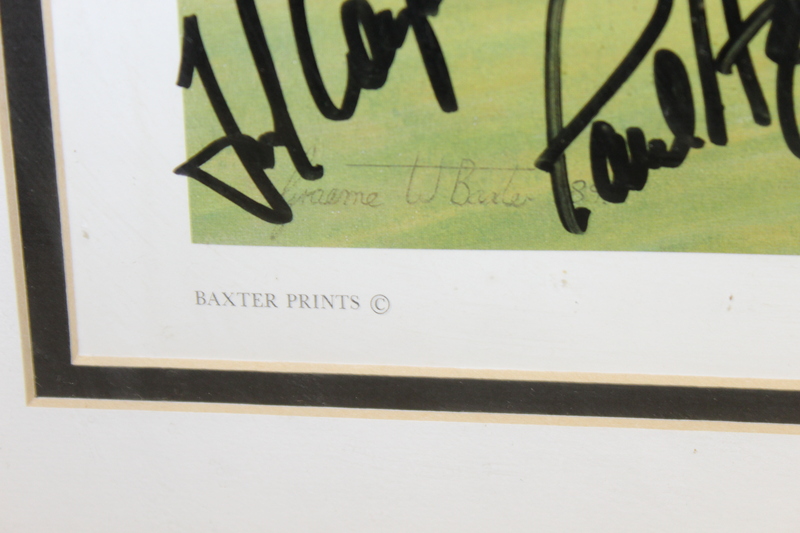 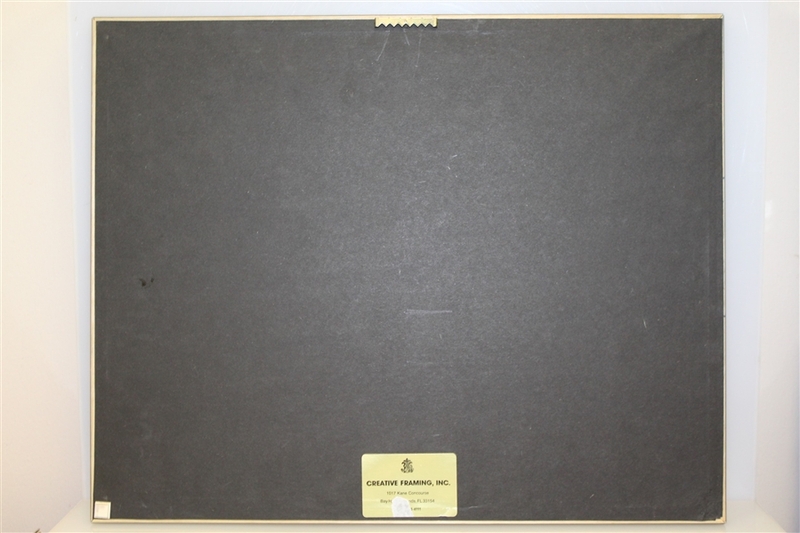 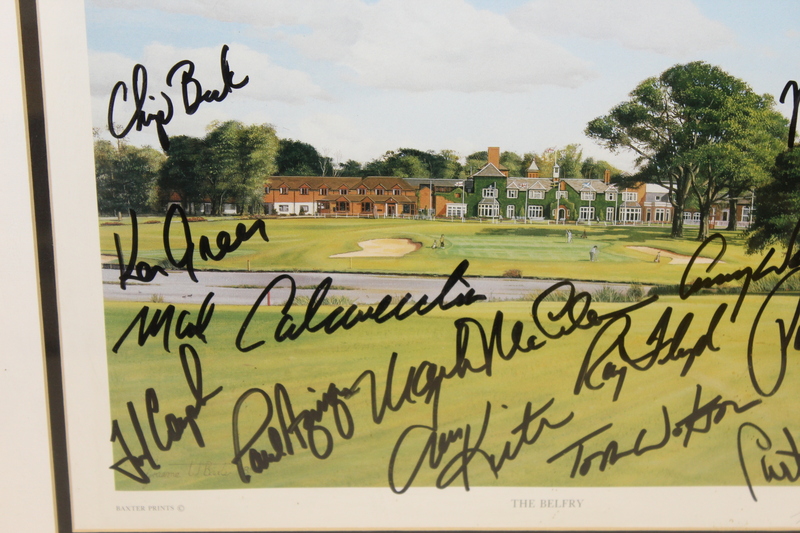 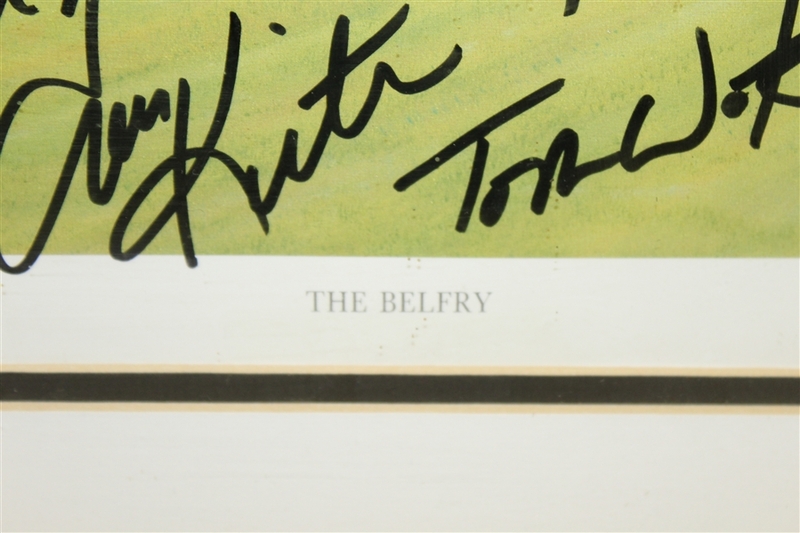 This lot contains a 16" x 20" Baxter print of the belfry signed by the 2002 Ryder Cup team.